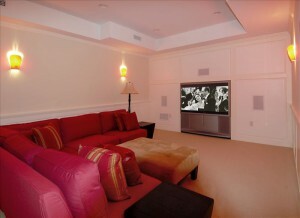 Increasing the Livability of Your Basement - Carpentry Unlimited, Inc. Many homes are equipped with basements, and many homeowners don’t quite know what to do with the space. Because basements are so prone to flooding, particularly in wet climates, some may be reluctant to invest too much money. A finished basement, however, not only increases the livability of the space but also can improve the air quality and humidity control in the rest of the house. Whether you are planning to rent the space out to a tenant or simply spend more time in it as a family, improving the state of the basement can improve your life. A licensed professional can perform an inspection on your basement so that you know your starting point. These specialists look for visible hints that water damage has ever occurred. They also can test the air quality of the basement. The information they uncover might be discouraging, but it will tell you what you need to know to get from your current basement to a finished basement. The most important factor in improving the quality of your basement is to put moisture control measures in place. Basically, you want to waterproof the area. Professionals can advise on the type of drainage system that is necessary to keep it dry. They will probably also recommend the installation of a sump pump to keep outside moisture out of your basement floor. Having these measures in place also looks good to the insurance company, which is more likely to honor a water damage claim filed by homeowners who took precautions to avoid such damage. Because nothing is completely waterproof, it is also important to use moisture-resistant materials when you finish your basement. Avoiding materials such as wood or standard dry wall can help protect it from the effects of flooding even if your waterproofing system fails. A finished basement is a significant investment, but it can also be a worthwhile venture. It gives you more space to rent or use, and it improves the overall quality of your home.